Known for its intricate lines and richly intricate paisley patterns, mehndi body art has become increasingly popular for individuals, parties and special events. Henna used in mehndi art comes from a plant that is used to stain the skin and leave behind a temporary tattoo. It was originally used to cool the body from the hot desert, but today it is often applied to the hands or feet in decoration. It can be used anywhere on the body. For example, Belly dancers will use it to weave entrancing patterns across their stomachs for dancing or do bold henna designs on the hand to draw attention to their gestures. The henna used in mehndi art is available in pre-mixed paste or unmixed powder. For beginners, the pre-mixed option is much easier to use and leaves behind nice results. For advanced artists, the pre-mixed option saves valuable time in preparation, which is especially nice when applying designs to large groups of people. 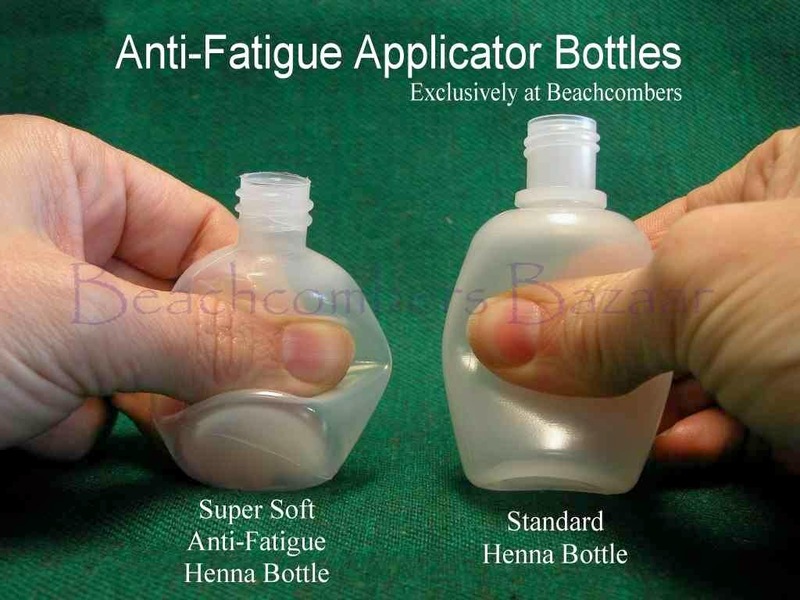 The Beachcombers’ 10-pack of Natural Henna Paste Pre-mixed Mehndi Cones is a convenient way to apply henna. Instead of having to spend time mixing at home, this kit can be used as soon as it arrives. 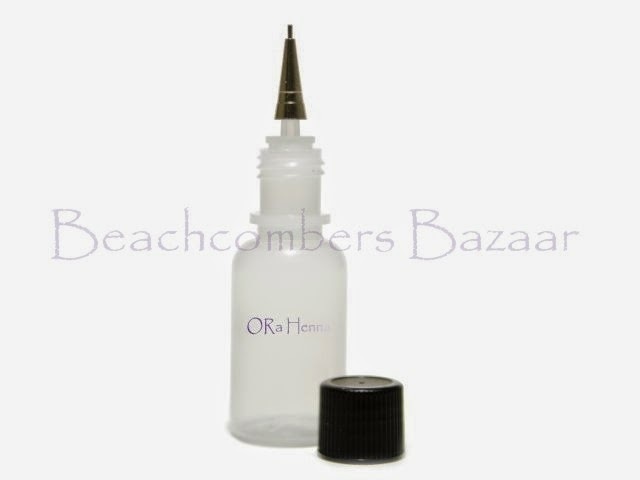 Use directly from the cone or squeeze into an applicator bottle. Each cone contains 30 grams of henna, which is enough to apply approximately five to 15 tattoos. With a 10-pack of pre-mixed cones that’s enough for around 150 tattoos per kit! If the henna will be used within days, it is recommended to store the cones in the refrigerator. For long term storage, the cones can be kept frozen for over a year. At Beachcombers, all pre-mixed cones are stored frozen to assure fresh product for you. They are ideal for both beginner or advanced artists. This 10-pack of pre-mixed mehndi cones kit is totally safe and contains all natural and high quality ingredients including mineral water, henna oil, citric preservatives, and natural henna powder. Unlike other products, this product is free from any chemical additives like PPD. Complete instructions are included with the pack of 10 henna cones, so you will be ready to begin your art immediately. The tattoos will always appear with a red/brown hue, which is the natural color of henna. Most users are very pleased with the results. It is a wonderful way to create a living piece of artwork that is a beautiful means of self-expression. Give the popular and beautiful mehndi body art a try today without the added stress of a long preparatory set up thanks to high quality, pre-mixed henna cones. 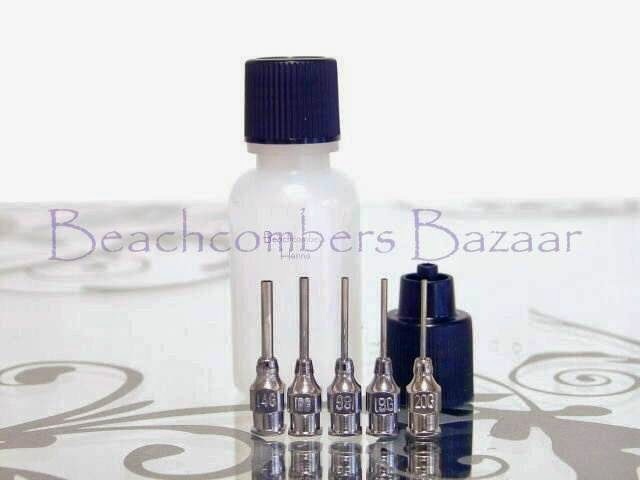 I recently got a question about the best way to clean the tiny applicator tips used for henna application. Though you can find the answer at The Henna Learning Center, I thought I'd go into more detail here! Keep your stainless steel metal tips from degrading, clogging, or breaking by taking good care of them. Jacquard (Jaq or Jac) tips are more susceptible to damage than ORa henna tips, but both can be used for a lifetime with proper care. Avoid letting henna paste dry in metal tips. The dried henna paste can be a bear to remove, so if you can't clean them right away, pop them in a cup of warm water. When ready to clean, either use very hot tap water or warm up some water on the stove and place the tips in the hot water. Remove them one tip at a time and run water through the tip using a needle to remove any henna in the tip. I even blow through the tip to be sure everything is completely gone. You should be able to see a perfect circle of light passing through the tip, as shown in this picture. 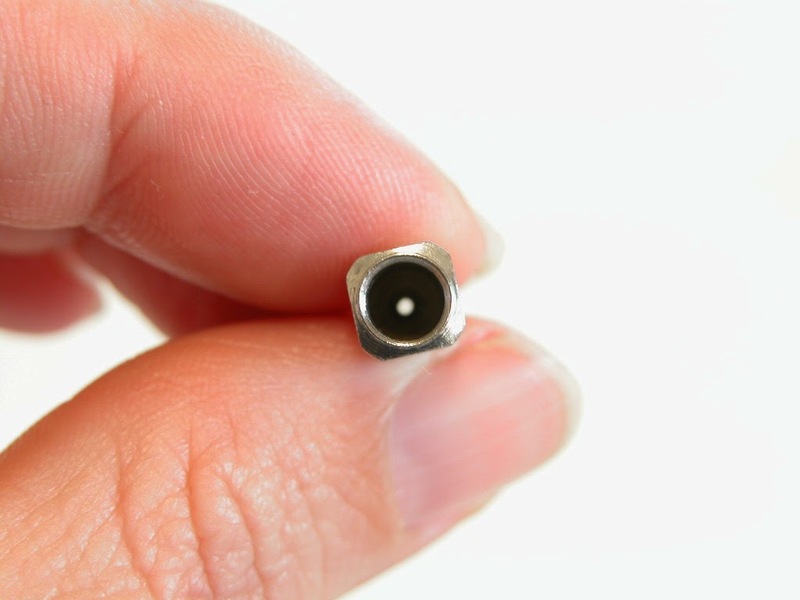 If you cannot see light through the metal tip or the light is not a perfect circle, you still have henna in your tip and you need to keep cleaning! Let the tips air dry completely before storing. Henna bottles are easy to clean. Squeeze out as much henna as possible, then fill the bottle about half way with warm or hot water. Cover the opening with your finger and shake vigorously. Empty the water form teh bottle and repeat this process until the bottle is clean. Alternatively, you can let the bottles soak in warm or hot water to clean them. Let the bottles air dry completely before storing. Take good care of all your henna tools and they will take good care of YOU! There is nothing quite like the sparkle of gold and silver combined with glass bangles, but it's even better when gold and silver are used in the same bangle set. Check out some of these beautiful new Indian bangle sets. 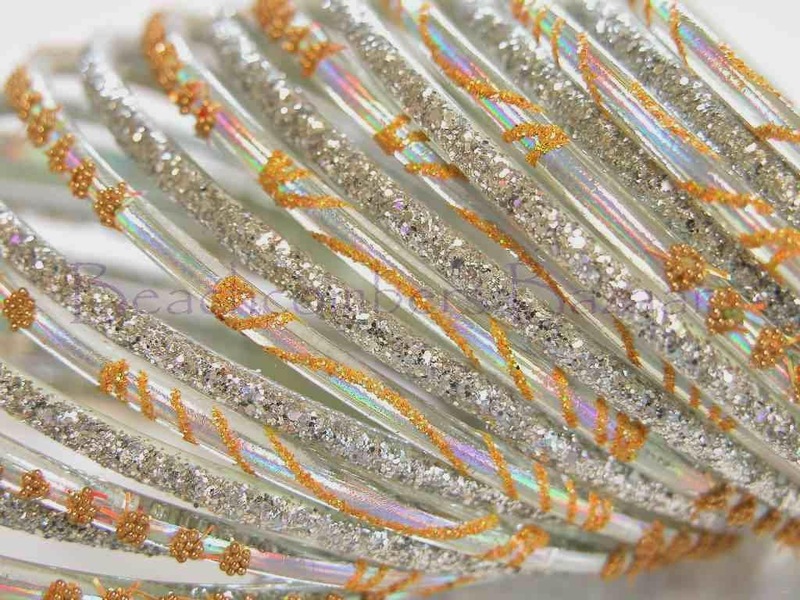 Plenty of gold glitter and silver glitter make these elegant bracelets sparkle. Some bangle sets have clear bangles with gold and silver which add a wonderful textural appearance. 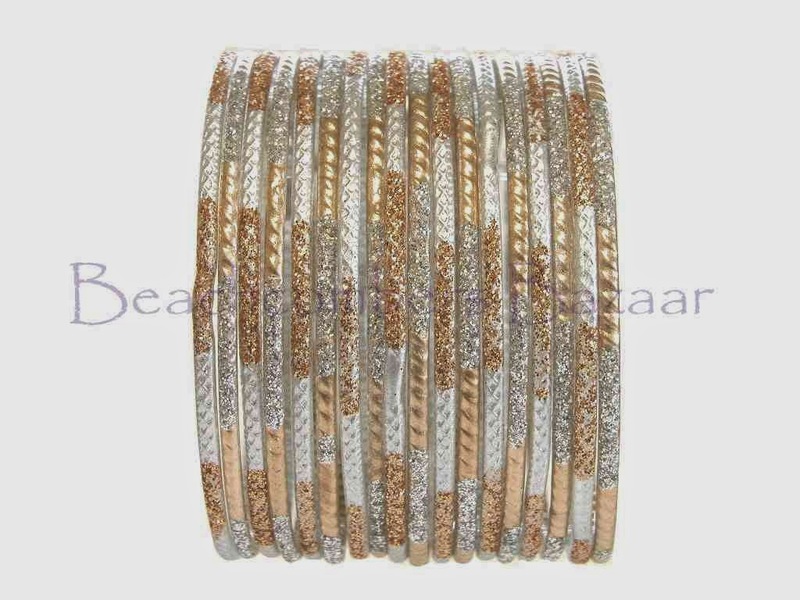 There is a lovely set of gray and gold bangles that is one of the most elegant bracelet sets in the collection. A matte texture adds interest and sophistication. Silver and gold bangles are easy to mix and match by adding a touch of color to them. Find some purple and gold Indian bangle sets that are packed with Bollywood style. To add a bit more edge to your collection, try the yellow gold bangles combined with coppery-peach bangles on a black base. Pop in a bit of pomegranate red and add instant glam! Don't miss the great selection of brightly colored glass bangles to match with every outfit!